Nineteen RSCJ from ANZ arrived at St Joseph’s Baulkham Hills on 1 August 2017, together with Sister Margaret Endicott RSM, our facilitator. This has been the place where we have met for a number of years. The warmth of hospitality gives a sense of homecoming. Lynette led us in prayer to open the gathering, focussing on the calls of the General Chapter 2016. Our facilitator, Sister Margaret Endicott RSM had prepared for each one of us what might be called a guidebook for the pilgrim. That was the theme of the days, as we embarked on the facilitated process of discernment about our future. The opening words of the guidebook paved the way: A pilgrimage is an intentional journey into the experience of unknowing and discomfort for the sake of stripping away preconceived expectations. We grow closer to God beyond our own imagination and ideas. 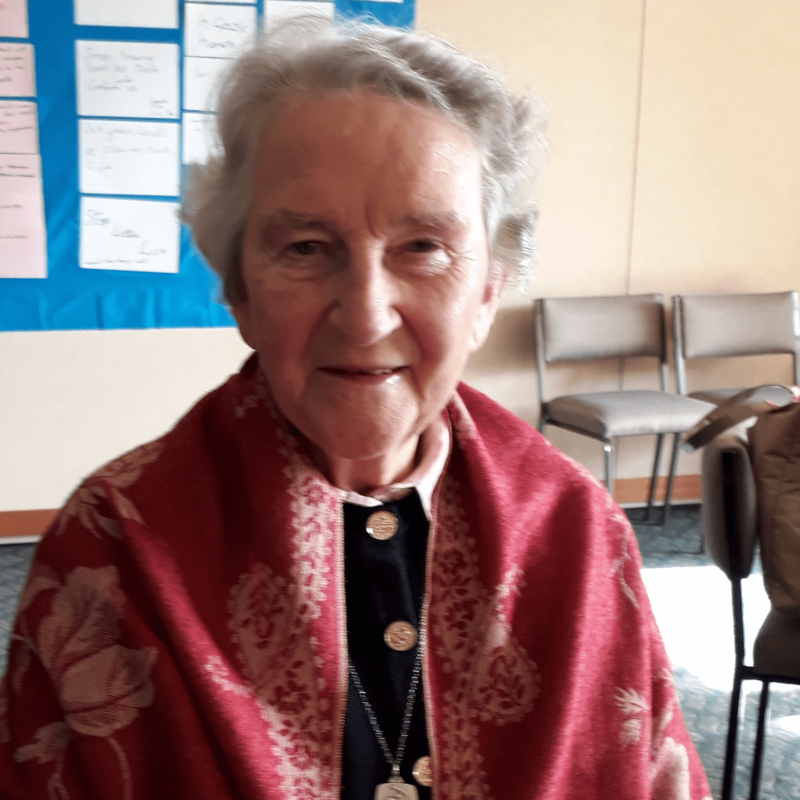 Margaret led us in times of personal reflection and prayer round themes linked with the journey such as: Hearing the Call and Responding, Packing Lightly, Crossing Thresholds, Making the Way by Walking, Embracing the Unknown. We had times of deep listening to each other with storytelling in small groups: once about an experience of communal discernment, another time about crossing a threshold and a third about an experience that had touched us during the gathering. We came to know each other in new ways and experienced a level of listening which is central to discernment. She guided us in sharing where responsibilities lie in our religious life. We looked at key values underpinning how we may organize ourselves for the sake of our Mission and Life. We travel as one who is led, as one who is called forth to life. Leaving known paths behind us, we choose to journey forward in faith and service. We left on 4 August 2017 knowing the support of our Sisters at home, grateful to Lynette, Diana and Kathleen for their leadership and to Margaret for her facilitation. We are glad she will continue to accompany us into our future.